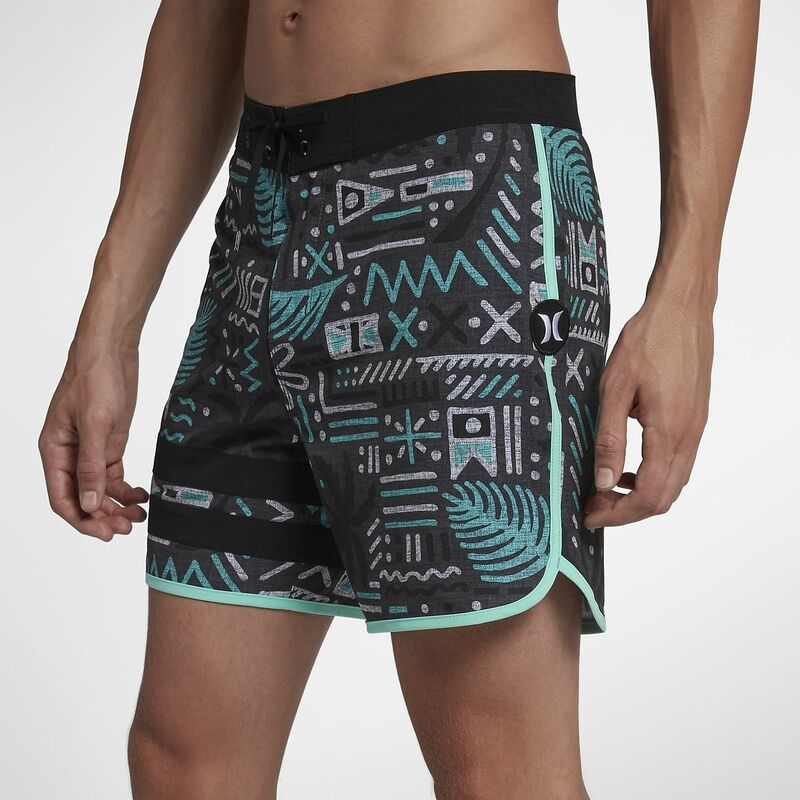 Made with stretchy fabric, the Phantom Honu Men's 16" Board Shorts feature a pastel-like tribal print for a textured look and a shorter length that enables you to move freely in the water. Made with stretchy fabric, the Phantom Honu Men&apos;s 16" Board Shorts feature a pastel-like tribal print for a textured look and a shorter length that enables you to move freely in the water. Recycled Phantom fabric dries quickly and provides 60% stretch. 16" length helps you move freely. Have your say. Be the first to review the Hurley Phantom Honu.